An ultimate mortality table lists the probabilities of death for people of different ages and gender. 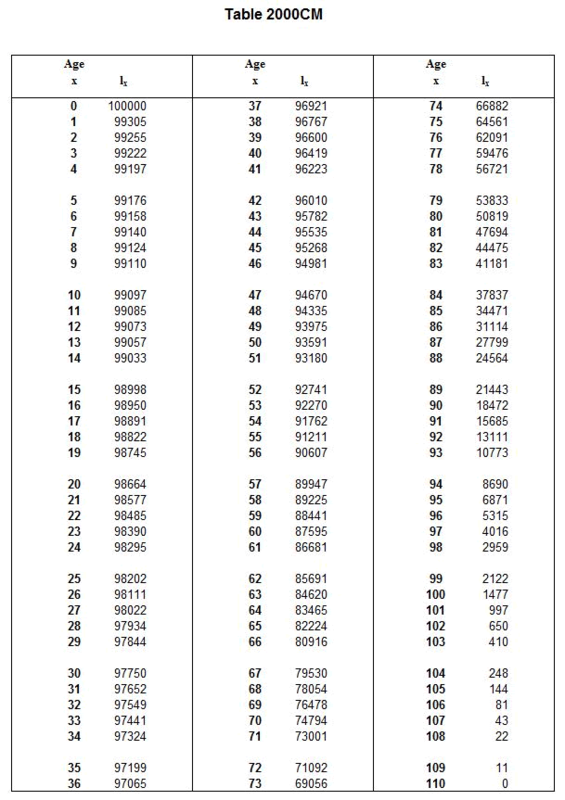 Most mortality tables, like this one from the IRS, show what percentage of a population or number per 100,000 people who will probably be alive when they reach the age indicated in the table. Ultimate mortality tables show how long a person born in a certain year is likely to live. This information is based on large quantities of statistical information about actual ages at death and other factors. Insurance companies use this information to determine how long a policyholder might live. This helps them calculate a profitable price for life insurance, annuities and other financial products. What made you want to look up ultimate mortality table? Please tell us where you read or heard it (including the quote, if possible).